Sign at an environmental group office. I found out a lot about Chris that I didn’t know. He was a leader and joiner in many community projects in Willits. My parents moved to Willits in 2000 when my dad finally retired at 77. My mother’s sister Mary had been placed there to be the Episcopal (CofE) minister after seminary, so it seemed to be a logical place to move from ‘silicon valley’. Willits is an old logging town with 4 traffic lights, population 5000, in the coastal mountains, 3 hours from San Francisco. It is the usual struggling small town. The lumber business ended long ago. There is some farming, service businesses, a little tourism, but also much marijuana growing for the underground economy. This supports some large nursery suppliers, aquaponic stores, and hippie kinds of stores. Chris moved to my parent’s house in 2009. There is a detached garage with apartment upstairs so he had his own space except kitchen. He became the family cook because my mom couldn’t and my father, on his own, would just microwave things. But he didn’t find local work, instead helped my parents, wrote, and got involved in the community. Chris was an early helper in the Willits Community garden in the city park. Individuals had small plots, mostly vegetables, and there was an area for sharing with the transients. Chris encouraged and demonstrated a straw bale technique for growing tomatoes and helped manage the garden. 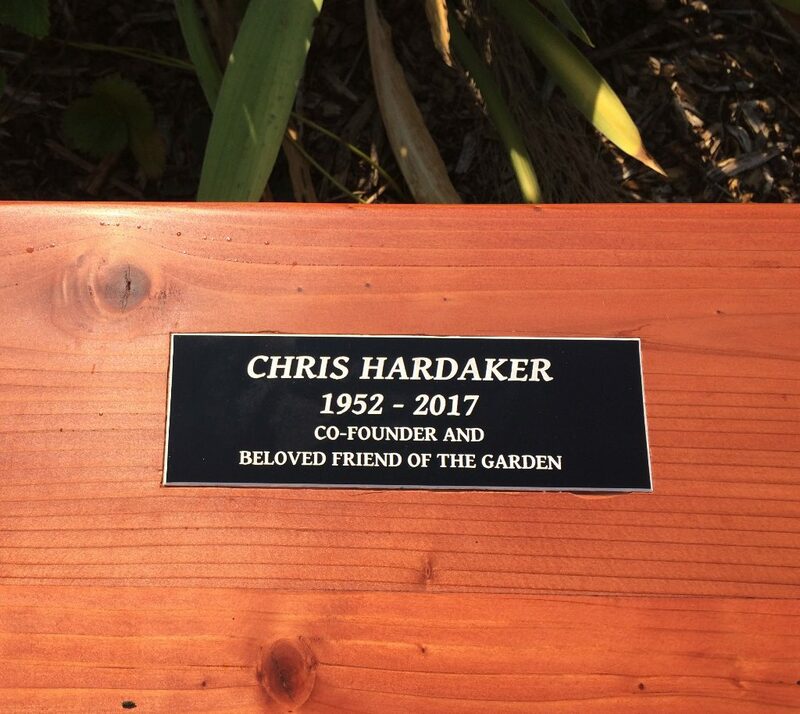 Later, he helped create a community garden from a patch of briar-covered tennis courts in Brooktrails, the housing area where the family house is located. 1000 Sunflowers was a project hatched in spring 2017 that got him a lot of attention. 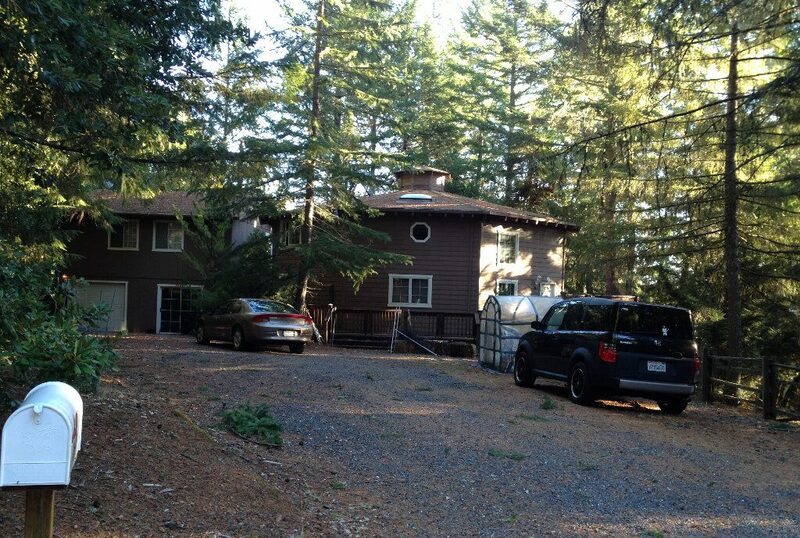 Up until about a year ago, Willits was directly on the main highway north to Oregon. All traffic went right though the center of town. The state of California after much planning (and local protests) built a bypass road around the town to benefit travelers and big trucks from the traffic lights and congestion. This still causes much worry for small businesses like gas stations, restaurants and stores who now get less customers. Town leaders don’t know what to do yet. 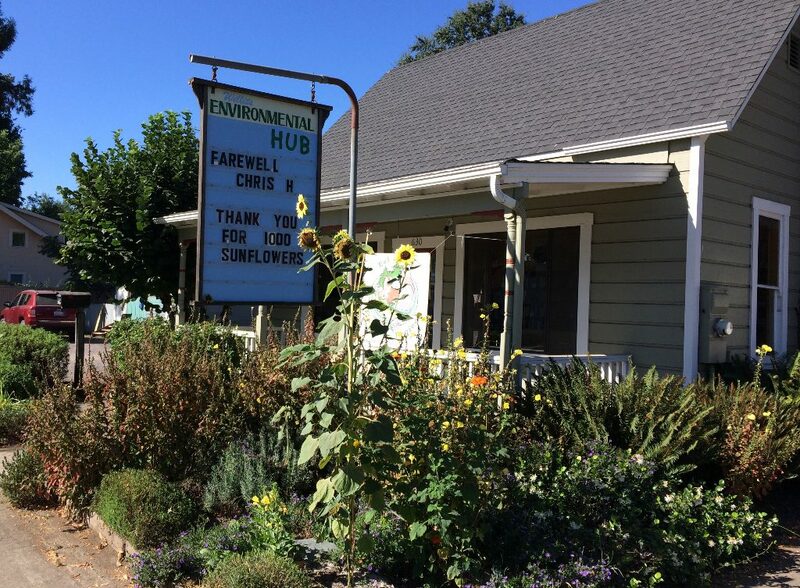 To boost civic pride, Chris started this campaign to plant sunflowers everywhere in town, and it was supported by the Chamber of Commerce and the WELL environmental group. Perhaps it will evolve to help make Willits a destination rather than a detour. 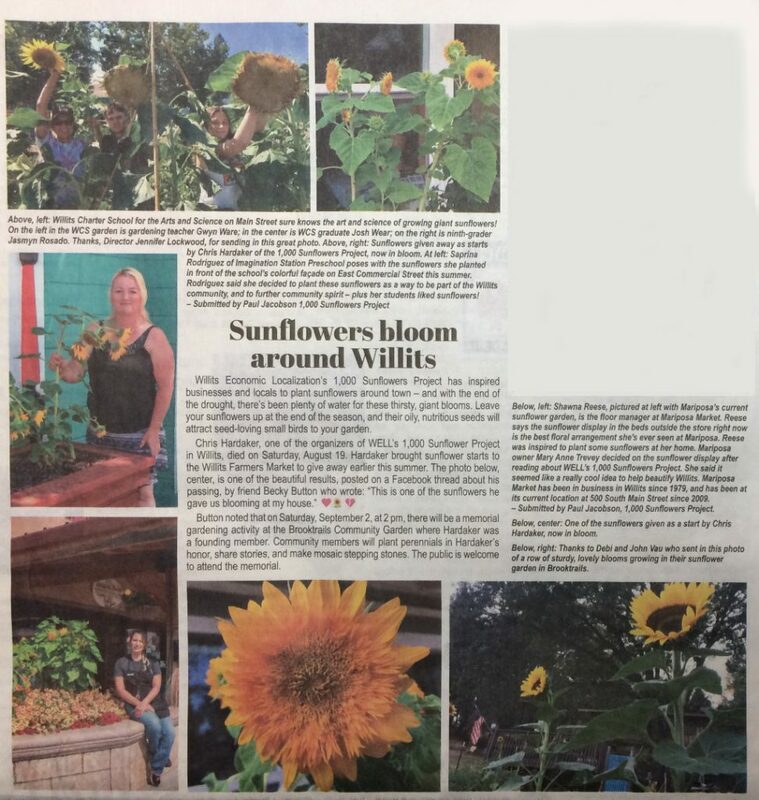 Here is a Willits News article about Chris’ 1000 Sunflowers idea. 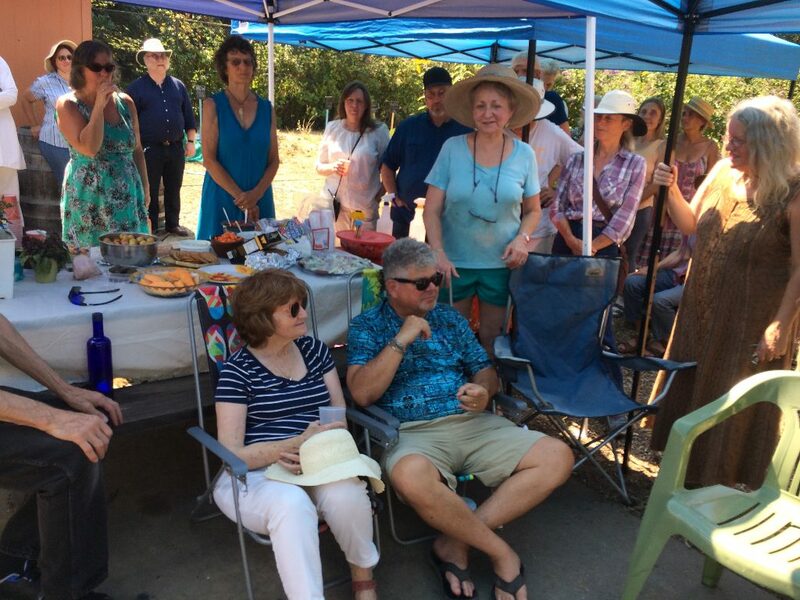 The Brooktrails garden group held a memorial gathering on Sept 3 that I attended. I didn’t know anyone there. So funny, I even lived in the house for a year in 2014/2015, Chris never revealed his social circle to me or our aunt! I knew he had a couple of friends but he seemed to almost always be home writing, and I was so surprised that not only was he well known, he was so well liked! I counted 35 people at one point, and more including my aunt couldn’t come because it was a very hot day. Interestingly many there didn’t know each other, but knew Chris from individual activities. Chris was private about his past to many people. Most had no idea he had written books, or had been an archaeologist. 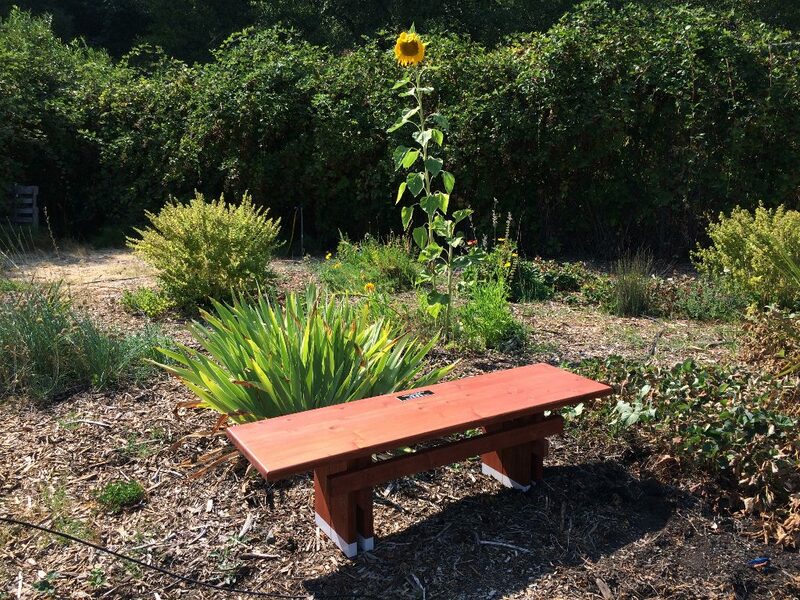 Someone built a redwood bench as a memorial, and it is installed in the garden. Very sad news. Chris is one of my oldest friends. We were in college together in the ’70s at San Diego State University, and shared many passionate interests including Native California and the Book of Changes (I Ching). We roomed together for more than one stretch, both in southern California and Tucson, Arizona, and kept in close touch by email and snail mail till recently. Fearing the worst, after several weeks of not hearing from Chris, I googled and found this page. I’m going to miss him greatly. So will our many mutual friends.